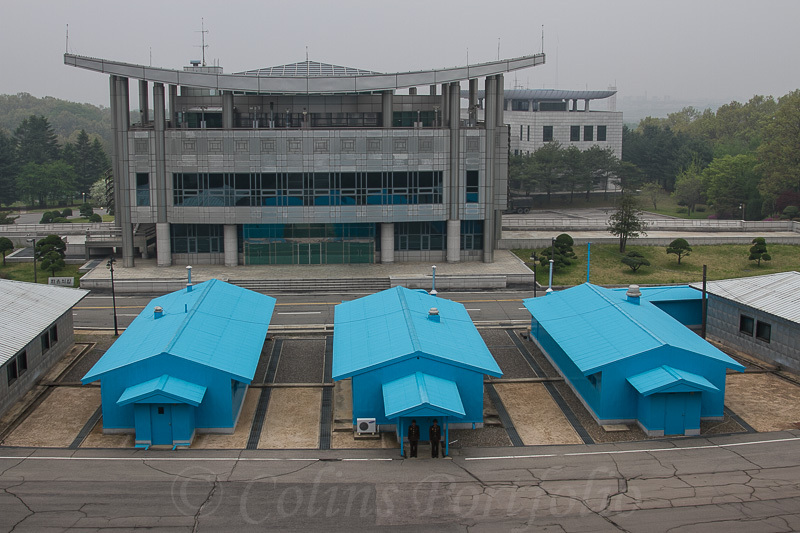 Colins Photography: The huts that straddle the border between North & South Korea. The huts that straddle the border between North & South Korea. The Military Armistice Commission Conference Hall is in the centre, through which the border passes. This can be seen as a small raised concrete strip outside the buildings.